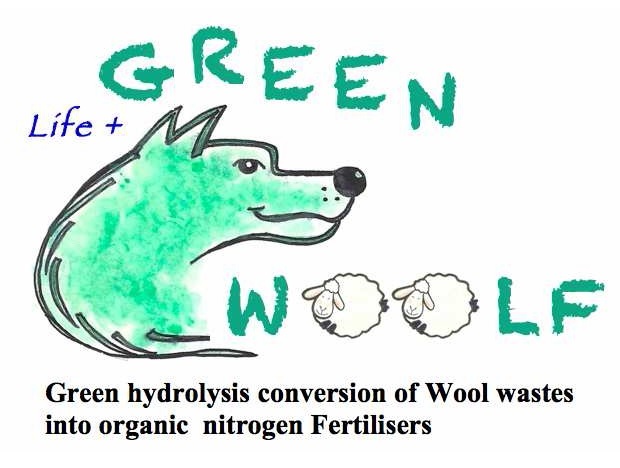 – Process innovation and biotechnology application in the wool textile field. Among the activity in the area of the proposal, ISMAC-BI has developed a comprehensive caracterisation of all the Italian sheep breeds and their wools. The institute has been involved in the valorisation and exploitation of poor quality wools (coarse wool) from sheep farming butchery and textile industry wastes, with the financial support of the Regione Piemonte and the CARIPLO Foundation. The project leader has the role of CNR Research Executive at the ISMAC-BI and is Professor of Textile Fibres and Technolgy at the I Faculty of Engineering of the Politechnic of Turin, MSc in Textile Engineering. Politecnico di Torino is one of the most important Technical University of Italy. The DISAT (Department of Applied Sciences and Technology) is the widest of Politecnico and offers many connections with many important research centers all over the world in the field of novel materials and production processes. The Poli-LATT (Laboratory of Advanced Textile Technology) of DISAT is a research group that, starting from the basics of chemical-textile engineering, is specialized in the production of pilot units and small scale processes which were designed, developed and tested through proofs of principles and scaled up to industrial prototypes. -the HITEX project financed by the Piemonte Regional Government. Politecnico di Torino established a consortium together with other research centers and more than 30 industries to merge several expertise and develop a number of applied research projects on different topics: from plasma treatments to comfort assessment, from dyeing diagnostics to UV curing. The OBEM company, established in 1946 in Biella, a very important textile center in Northern Italy, is a manufacturer of a wide range of dyeing machinery for bobbin, hank, staple yarn, tow, tops, fabric, socks and pantyhose, annealers and vacuum/pressure autoclaves for steaming yarns and filaments. Moreover OBEM has developed robotized plants for the mass production of dyeing for yarn, tow, tops and staples, and also produce small dyeing equipment for laboratory testing of production. OBEM has business contact in all the countries of the world in which there is textile industry and has the ability to study, propose and realize turn key projects anywhere. Approx. 1200 Customer utilize satisfactorily more than 5000 OBEM machines. Since several years, OBEM participates, closely with University and Research Centers, in National and European projects (ECOTINT, ADAPT-ATRUE, ADOPBIO, AQUAFIT4USE, INTEXUSA) as partner and/or WP leader in the development of new technology in textiles and water recycling. OBEM dispose of design and manufacturing knowledge and facilities employing advanced resources as 3D CAD mechanical system, finite-elements design system, electrical CAD system, production test equipment (NDT), machine test equipment. OBEM also has a complete production plant where all the machines are manufactured using CNC production facilities. We also have an in house software developing team that produces PLC and PC dedicated software for our machinery. In particular for the OBEM high tech robotized plants installed worldwide we have developed an advanced remote assistance through internet from our offices in Biella in order to help our customers with quick response and easy system software upgrade.